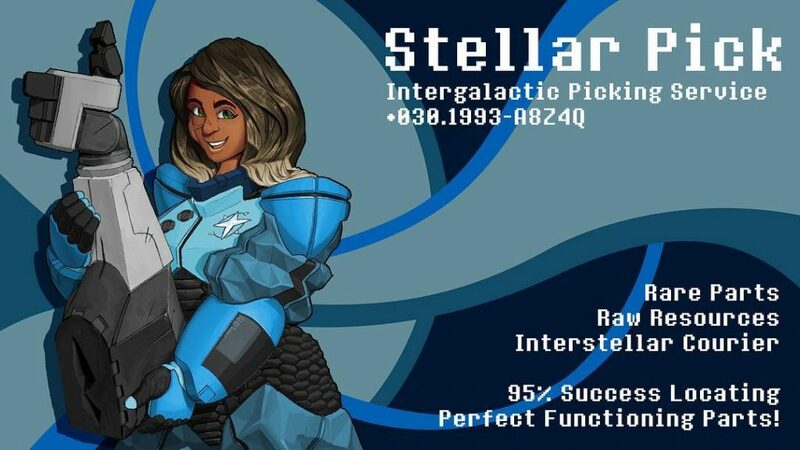 Stellar Pick is a fictional machine parts and materials procurement business belonging to Stella, an astronaut character I designed and have exhibited in my process demo. Apart from the “story” of the image, I intended to communicate my skill in composition design, surface painting, and character design. Stella herself wears a bulky space suit possessing soft materials where movement should be possible, rubbery materials where flexibility and durability are important, and hard materials where either protection is needed, or essential electronic equipment is stored. She makes use of a sort of sky blue color scheme to represent her affinity with the “heavens”, or reaches of deep space. Her skin is dark and her hair slightly bleached to signal exposure to a lot of sunlight due to traveling across space and being exposed to the rays of various stars during most of her working days. This illustration was partly motivated by a need to exercise and refine my process as given in the demo I linked above. The piece finds loose inspiration in advertising illustration. I used one of the standard proven equations for advertising illustration going back years and years: Pretty girl + Product or Service = Sales. 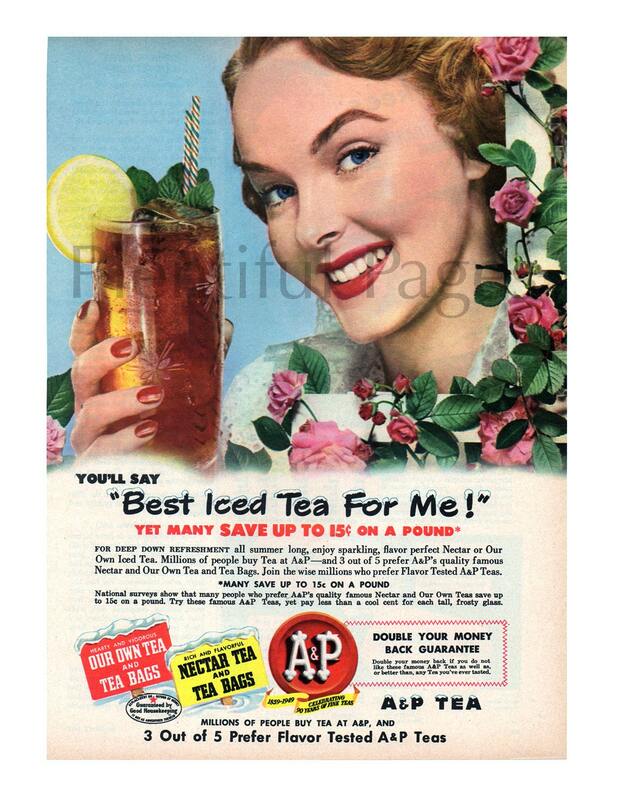 An example of advertising illustration from a 1950 issue of Women’s Day. The Stellar Pick iilustration was designed with a positive solution presentation in mind. Advertising as a whole resonates either by agitating a pain point or problem and connecting that pain point with a solution, or simply connecting a potential customer with a positive depiction of something that is designed or supposed to improve their quality of life. This business card is marketed toward fictional machine owners and manufacturers existing in a market that spans multiple planets and galaxies who have a need for rare materials for special projects, or machine parts that are difficult to find. The card displays such a machine part (in this case a cosmetically damaged but functioning robot arm) and Stella herself, the owner and sole agent of the business. In the fictional market where this card exists, the “Intergalactic Picking” industry exists in response to the needs of a production industry that reaches across multiple galaxies. The holder of this business card within this context would be immediately acquainted with how to contact Stella, what services she offers, and the specialties of her service. A business owner in this setting knows who she is, what she does, and how she can help them. This is an example of how I can approach illustration as it pertains to the needs of a fictional business with a well-defined market. Can my solutions serve your real business and your real needs? Is there a way that I can help you? Tell Me About Your Business!